Frozen Labyrinth - The Chip's Challenge Wiki - The Chip's Challenge Database that anyone can edit! Frozen Labyrinth is the 44th level in Chip's Challenge Level Pack 1. It was created by Josh Lee. 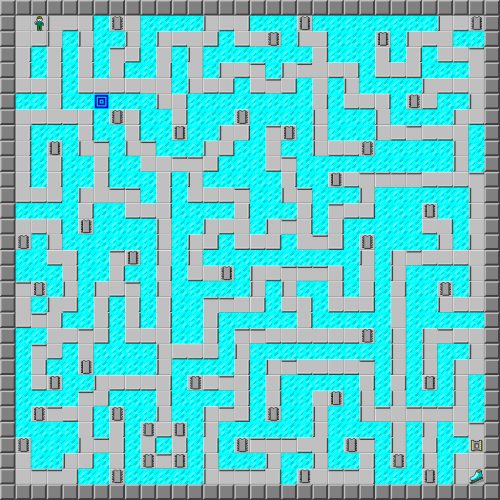 This level was heavily hyped up by Tyler Sontag as the greatest maze ever made prior to CCLP1 voting. In JCCLP, where the level originates, there was a hint that read ""This is the best maze evar. Just saying." ~Tyler Sontag", but this was removed for CCLP1. A sequel to this level was created by Josh, titled "Frozen Labyrinth Remixed" which is a lot higher in difficulty and is more complex than the original.